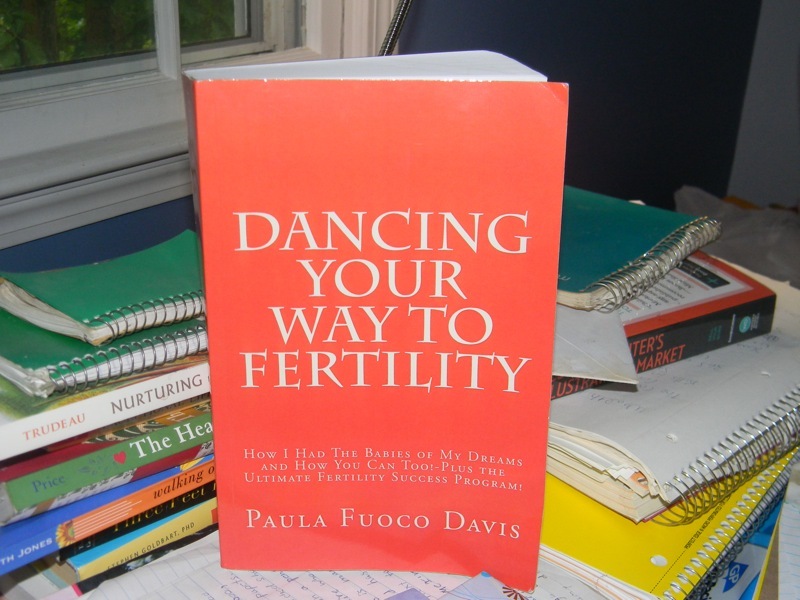 Dancing Your Way To Fertility – Page 20 – Had enough of hearing ‘no you are not pregnant?’ The information you need to beat infertility…a hand to hold on your hardest of days. Every day, we come into contact with heavy metals that can disrupt our fertility. As much as possible, you’ll want to start paying attention to the metals you may be unintentionally bringing into your body through the products you use and your lifestyles choices. Cosmetics, drinking soda straight from a can, deodorants that contain aluminum, solvents in dry cleaning, exposure to radiation, all contain metals that can find their way into our body, causing metabolic disruptions in organs, such as our heart, brain, kidneys and liver. Because heavy metals are so common in our world, most of us have them in our systems. There are a variety of heavy metal cleanses available online and in health food stores. You may want to do this cleanse more than once. This is, however, a cleanse to be done before you start infertility treatments and medications. Garlic is known to help reduce metal levels in the body. It contains the antioxidant allicin. You can eat garlic raw, include it in your cooking or juice it. To juice, simply peel the garlic, juice, and drink combined with lemon juice and water. Have a big glass of water nearby to help reduce stomach discomfort. Milk thistle is an herb that can also help remove heavy metals from the liver. Cilantro is a powerful herb that is known for binding heavy metals and whisking them out of the body. Alpha Lipoic Acid and Gluthatione are powerful supplements for helping cells remove heavy metals from the body. Chlorella is a fresh water algae loaded with chlorophyll. Buy it in powder form and mix with water for fast absorption. It can also be taken in capsule or tablet form. A steam bath can help remove metals. Burdock is a potent blood purifier and can remove heavy metals from the body. It also helps purify the liver. Onions contain the antioxidant quercetin, which helps remove heavy metals from the body. Add to your salads daily or juice them. Start by having a complete physical:Go to your primary care physician and request a complete work-up. Ask for a complete work-up of your thyroid, liver and kidneys. This includes a thyroid stimulating hormone test and a comprehensive metabolic panel. Get tested for allergies, as you could be eating a food that weakens your body, such as gluten. Have your white blood cell count checked. This might help in determining if there is an undetected infection in your body. The aim of the physical is to find out if there is an area in your body that has been overlooked, because one weak area can throw off the rest of the body. Visit Your Dentist:Get a complete dental check-up to be sure there are no lingering or untreated infections in your mouth. Buy a juicer or a fruit/vegetable drink mixer. Learn as much as you can about making healthy vegetable and fruit drinks. Make this a daily part of your routine, whether it is simply juicing a bag of spinach or making a spinach/blueberry/flaxseed drink. Find a reputable, licensed acupuncturist in your area and start going once, twice or even three times a week. Visit a local health or nature food store and purchase a liver cleanse. You may want to do this more than once. This is to be done before you are in the midst of an IUI or IVF cycle. Visit a supermarket and stock up on garlic, spinach, pumpkin seeds, sunflower seeds, kale, yams, and pineapple. Schedule 20 minutes in your day to sit outside in the sunshine. Pick a place that feels comfortable—even if it is just putting a chair out in your front yard, a driveway or at a local park. Find an excellent, highly reputable chiropractor in your area who is somewhat familiar with issues of infertility who can adjust your spine. Start eating as much spinach and garlic as you can. Get more sleep. Make sure your room is completely dark and get to bed earlier. Stop drinking coffee and eating sugar. Stop all trans fats that are in your diet. Cut down on white flour products too. As always check with a physician before pursuing any course of treatment. Are you ready to be pregnant? Have you been told that you cannot get pregnant for unexplainable reasons? Have you been trying for a baby for a long time and you are weary, tired and very, very sad? Infertility is one of the most difficult journeys a woman can take. But, starting today, know this: Infertility is not a final statement on your ability to have the family you dream of—infertility is a medical condition that, with the right treatments, is often temporary and can be cured. So starting today, see your infertility as a temporary condition that is a signal that your body is off-track and needs something to heal it. Infertility clinics often give patents a diagnosis of “unexplained infertility”, but infertility is never a result of unexplainable, mysterious problems. Infertility is always a result of specific problems or deficits in the body—problems that are sometimes hard to detect in the way that Western medicine diagnoses ailments. When your body does not conceive easily and naturally, there is disease, dysfunction and malfunction occurring on some level, even if it is a level so very subtle that it cannot be detected on standardized tests. Some of the fertility problems your body may be experiencing may be hard to find because there are not machines or diagnostic tools yet available to detect slight shifts, blocks, traumas in the body that can prevent or delay pregnancy. So just because a doctor says you can never get pregnant does not mean your body, if helped, cannot heal from infertility—but here’s the catch—you have to do the right things to get back your infertility. By turning your body from acidic to alkaline, from a diseased toxic state to one that is cleansed, from a body full of inflammation to one that is healthy. Sometimes, our body can get onto a disease track, and it then must be pushed and healed back over to a track of health. In this chapter, we’ll discuss a comprehensive body makeover program that will change the track you are on and help you become more healthy, vibrant and fertile—as you deserve to be! You can go to an infertility clinic and take advantage of all the latest and best treatments and medications available, which I recommend, and at the same time embark on a course of holistic, alternative healing to maximize your chances of getting pregnant and having the babies you dream of. with all your organs cleansed and able to function at their highest level possible. What can set the body down a wrong course? Unhealthy foods, low-quality drinking water, chemicals or toxins in our environment and in products we use, stress, traumas and painful life experiences that tire and weaken our organs. Sometimes we live, eat, think and experience life in a way that can deplete our reproductive organs in ways that we are completely unaware of. Picture yourself driving down the highway in the wrong lane. Imagine switching to another lane in order to get to your desired destination. That is your goal right now–to get your body off the wrong road of toxic build-up to a cleansed road, from a road of tired organs to cleaned out revived organs. Your job is to change the state of your body, by digging deep to uncover the root causes of your infertility. Infertility: A Training Ground for Motherhood? In times past, women have always endured sacrifice and trial as part of motherhood. Now, due to a host of factors such as age, health and environment, women are put through a severe test of their maternal stamina even before they conceive their child. you one of the strongest, most capable, confident, resourceful, perseverant mothers a child could ever have. Experiencing infertility gives you a lifetime pass to enjoy motherhood in a way few ever get to enjoy it, because with the difficulties of this disease come confidence and appreciation. This journey will demand all the best parts of you. It will demand you persevere when you want to give up. It will demand patience and persistence when frustration and helpless surrender might feel like a more natural path. It will demand that every survival skill you possess be brought forth and utilized. It will demand sacrifice, self-preservation, and a willpower beyond what you knew you had, but what intrinsically you knew you were capable of. When you give birth to your baby none of it will matter. Your heart will heal, the scars will seem insignificant, and all the tears, disappointments and devastations will seem like bunny rabbits and balloons on a summer’s day. parent, a teacher, coach, counselor or play a very active role in the life of a young niece, nephew, neighbor, or cousin, you will be ready and able to mother these children and impact a younger generation in a way more powerful than you ever imagined. You have probably been through the best training course for motherhood possible: you understand pain, you understand the potential for joy, you are willing to do the work to get the child you want, and you’ve proven you can take the bad stuff that comes with going after the good stuff. In doing this, you will join a group of super cultivated mothers, women ready to nurture and love the next generation, and have more than proven their worth to do this. Winning over infertility can be a painful process that demands resolve and sacrifice. should have to go through this to have a baby and no one would voluntarily choose this road. Nonetheless, it is a reality for many of us, and it will prepare you for motherhood in a grand and inspiring way that someday you may even feel thankful to have experienced. It is a long road and an unfair one, but at the end of the road, you could be holding the baby of your dreams, just as the same as someone who made love one night and woke up pregnant the next morning. Then nothing at all will matter but your baby. Author frablyPosted on September 10, 2016 December 12, 2016 Categories Beating IntertilityLeave a comment on Infertility: A Training Ground for Motherhood? You are going to hear no. Expect to hear it at times, but don’t let hearing it keep you down or stop you from going after your dream. You are going to have to put some aspects of your life on hold. It will be worth it, but be prepared to spend your time, energy and money on getting pregnant and putting certain aspects of your life on hold. You are going to hear negative comments, sometimes even from the people you love. Don’t pay attention to what they say. This can work out for you, despite what anyone says or thinks about your health or situation. This is a journey you might sometimes take alone. Don’t be surprised if sometimes even your husband can’t be there for you the way you need him to. If that happens, don’t waste your time getting angry–just keep going. The doctor you choose and the reproductive clinic they are associated with matters—choose a good one. You want a doctor who is open to trying new medications and procedures and who answers your questions and listens to what you have to say. You are going to have to eat and take care of your body in a way you never have before. Get ready to make spinach, garlic and pumpkin seeds your new best friends. You are going to have to be strong and stay positive, even when nothing positive is happening. You are going to have to get ready to harness every little bit of inner strength you’ve ever had. You are also going to fall apart sometimes. Just expect it. It is going to feel rotten to be invited to baby showers, children’s parties, and see pregnant women at the supermarket. When that happens, just remember: someday, it could very well be you having that baby shower, hosting the children’s parties and being that beautiful pregnant lady at the supermarket. And you never know: that mother with the beautiful baby that made your heart ache? She might have once been a fertility patient too. You are going to have to work hard and be flexible. It is important to understand that a lot of work may be required to beat infertility. Infertility treatments require going to lots of appointments, and doing whatever you can to improve your health. This journey takes effort and push. Accepting the hard work involved will make it easier, and hopefully empower you to do what is available to heal your infertility. While beating infertility can be really hard work, the reward it well worth any effort you have to make. • The Ultimate Fertility Success Program, one of the best and most comprehensive body-mind makeover plans available to infertility patients today. • 12 cleanses to maximize and restore your fertility. • Information on all the foods, vitamins, herbs that can give you a fair and fighting chance to enjoy vibrant fertility. • How to improve the quality of your eggs and balance your hormones. • How to strengthen, prepare and emotionally heal every organ in your body impacting your fertility. • How to cope with shots and injections. • How to prepare for a successful IVF and what to do to increase your chances for success on the days before the IVF and after. • How to discover and unblock all the emotional and spiritual traumas and painful life experiences that might be destroying your fertility. • 50 art, writing, music and dance activities to increase your creative reproductive energy. • Your Personal Fertility Food Tracker Diary. • Your Daily Happiness Journal: to help you gain access to your inner positive-feeling antenna that is ever alert to everything good within you and around you. • How to deal with negative comments from family and friends. • Ways to reduce stress in your life. • More than 100 affirmations and visualizations. • A personal fertility vision statement to help motivate and get you past the obstacles to your fertility. • Ways to protect your baby once you are pregnant. • Letters you can send yourself when you need a lift or a reminder of how strong and powerful you are. • How to start enjoying a close loving friendship with your body. Click on the picture to buy, or on the book section in the menu for more information.